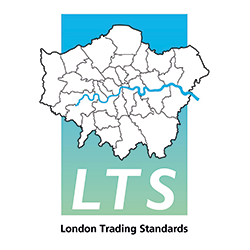 London Trading Standards (LTS) represents the 33 Local Authority Trading Standards services in the London Region. We share information and awareness campaigns across the capital to protect consumers and safeguard legitimate enterprise. Our members advise on and enforce laws that govern the way we buy, sell, rent and hire goods and services. We carry out inspections and monitor or investigate complaints. We endeavour to work with businesses to help achieve compliance but ultimately we can prosecute those who break the law. Together LTS tackles a wide range of issues including; product safety, doorstep crime and scams, underage sales, counterfeit goods and unfair trading. The benefit of working together and co-ordination across the region includes raising the profile of Trading Standards and saving our members money. Read about our achievements in our end of year report for 2017-18 here. To find out more about each local service select your borough from the list below.